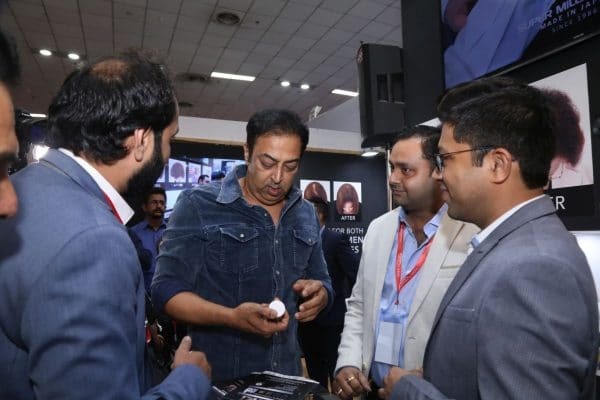 Actor Vindu Dara Singh is a user of Super Million Hair Building Fibers along with many actors and production houses – and we didn’t know this until he visited the SMH Transformation Booth at Professional Beauty Exhibition, 2018 Delhi in May this year. 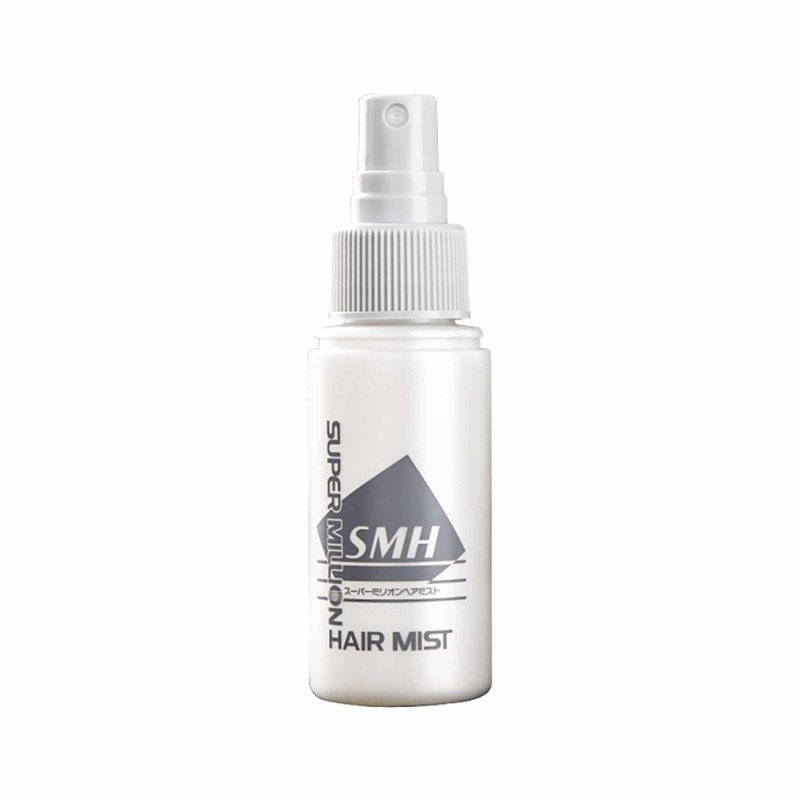 He and many other actor/actresses use SMH while they are shooting for ads and films. He told us about his association with the use of Super Million Hair and whole Bollywood industry for that matter. Many Bollywood makeup artists use Hair Building Fibers to style actors’ hair during shoots. Super Million Hair is a common choice amongst them. Hair loss or hair thinning is a common phenomenon and does not spare acting artists. Not just Bollywood, but Hollywood actors are also battling with hair loss. The major reason for hair loss in actors/actresses is stress, rough handling, pollution in the city they live in, diet etc. Vindu and others are no exception, and with the talent they possess, they definitely need to look smart and young on cameras. 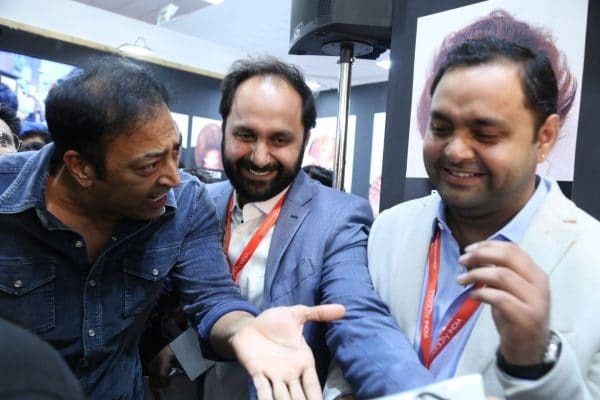 Vindu looked really happy and excited as always to meet us at the exhibition. And SMH Fibers, as we have always been saying, is undetectable and unnoticeable. Looking young in Bollywood is a trend and many celebrities in the past have come back with a head full of hair in the past. The crowd went crazy when they saw him and there he was with his ever-smiling face and selfies with his fans. 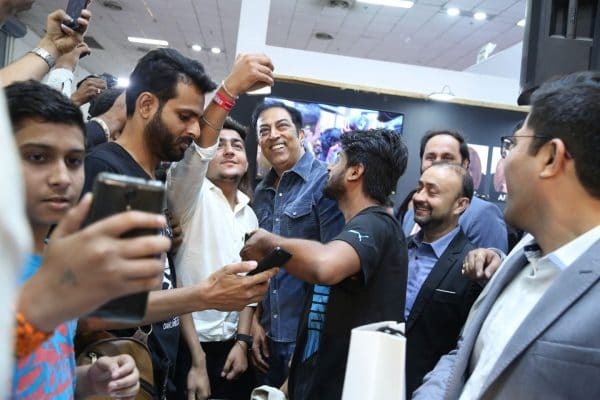 He did rounds of selfie’s with his fans and as always, with a smile. As a brand, it is always exciting to see renowned celebrities using your product. And when the product solves their problem, it makes a brand most happy. 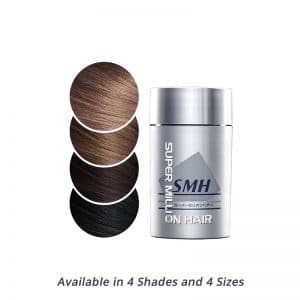 It always gives us an immense feeling of trust and motivation when we come to know that an actor or actress in Bollywood uses Hair Building Fibers and that too of your brand, Super Million Hair. A few months ago, we Nitibha Kaul, an ex-big boss contestant used Super Million Hair on her Dad and did a youtube video over it. 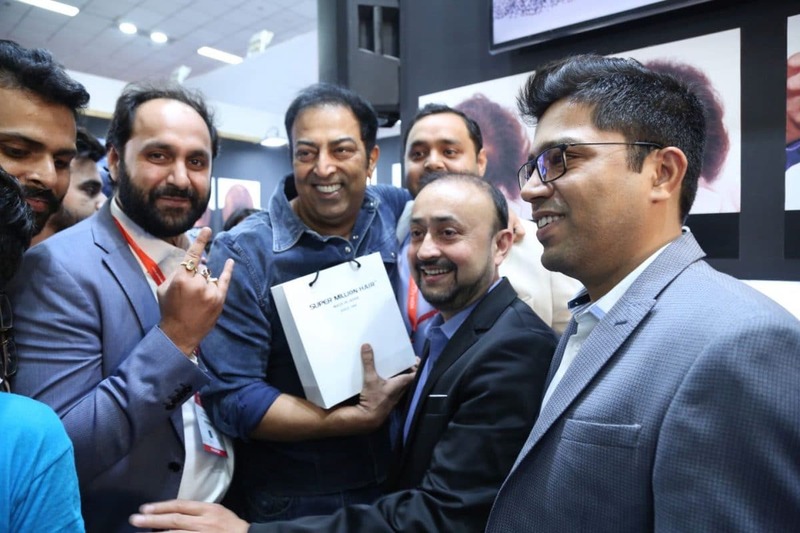 Here are a couple of videos which sums up the whole exhibition, Super Million Hair for Women and Men – Day 1 and Day 2. Men using Super Million Hair is shown in the video above. Women using Super Million Hair is shown in the video above. 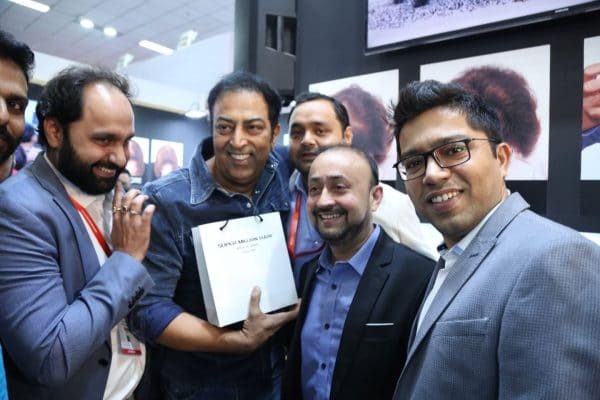 This entry was posted in Blog, Exhibitions and tagged Bollywood Uses Hair Building Fibers, Hair Loss, Hair Loss in Bollywood, Hair Thinning in Bollwood, Oldest Hair Fibers, Since 1986, Vindu Dara Singh.